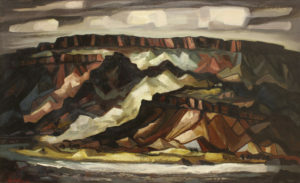 Doel Reed was born in Logansport, Indiana, in 1894. His study at the Art Academy of Cincinnati was interrupted by service in WW I, where he was temporarily blinded. Eventually recovering his sight, Reed returned to Cincinnati to finish his studies. 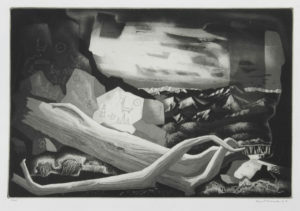 From 1924-1959 Reed chaired the Art Department at the University of Oklahoma. 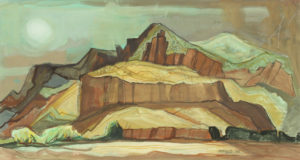 Upon his retirement he settled in Taos and became known for his landscapes and his subtle, geometric aquatint prints.